Make a difference in your local community as a Paul D. Coverdell Fellow. As a returned Peace Corps volunteer, you possess a commitment to humanity, an open mind and an adventurous spirit. You’ve experienced firsthand the most pressing social, cultural, economic and environmental issues of our day and, as a result, possess a deep understanding of the critical challenges facing developing and developed nations alike. You’re looking for the opportunity to harness your knowledge and passion to make a difference in the local community during your time at Lerner. The Paul D. Coverdell Fellows program for Peace Corps alumni will help you achieve this goal. The Lerner College, named a Coverdell Fellows partner in 2018, offers two scholarships to incoming M.S. International Business students who meet the eligibility requirements of a returned Peace Corps volunteer. While pursuing a graduate degree, Coverdell Fellows participate in a meaningful internship in an underserved community in the Delaware area. Financial assistance: Financial aid will include a full or partial tuition scholarship and a stipend. Professional experience: Your internship will allow you to combine what you learned in the field with what you’re learning in the classroom to make a difference in a professional non-profit setting. Helping others: As part of the program requirement, you’ll provide much-needed assistance to an underserved community in Delaware. Federal jobs: If you enroll at Lerner soon after Peace Corps service, your one-year noncompetitive eligibility status for federal jobs applications may, at the hiring agency’s discretion, be extended up to three years from your close of service date. Note that two-year volunteers who resign or are administratively separated are not eligible for Coverdell Fellows unless they had already earned eligibility through a previous Peace Corps tour. 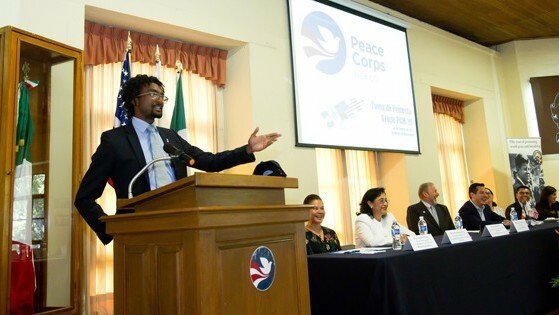 If you have questions about your eligibility status, you may contact the Peace Corps’ Office of University Programs at fellows@peacecorps.gov. Prospective Coverdell Fellows should submit their official Peace Corps Description of Service to the Faculty Director of the MS-IB program. Prospective Fellows are subject to the admissions requirements and deadlines for the Master of Science in International Business. You will be notified of your acceptance as a Coverdell Fellow at the same time you receive your offer of admission from Lerner, provided you apply by February 1 for fall semester admission. Specifically, you will be notified on or before March 1.